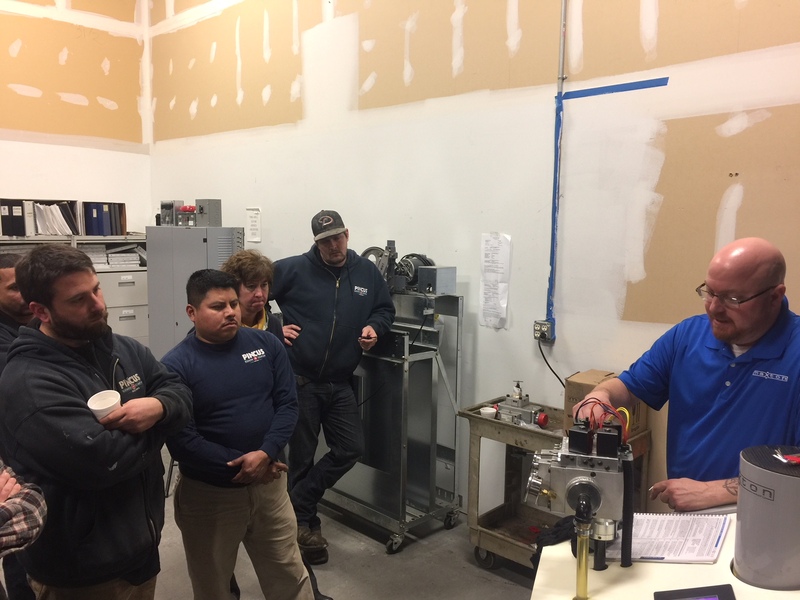 Minden, NV- On January 10, 2018 Maxton held their hydraulic elevator control valve classes for 23 mechanics at Pincus Elevator in West Chester, PA. This continuing education class provided the mechanics with credits (4.0 credit hours) through the NAEC’s approved Certified Elevator Technician (CET) program. These sessions are made up of classroom instruction on product knowledge, identifying and resolving common hydraulic field issues followed by practical application through valve adjustment and troubleshooting using the Maxton TA4M training unit. “The Pincus team was very inquisitive during both the classroom and hands-on portion of the training. 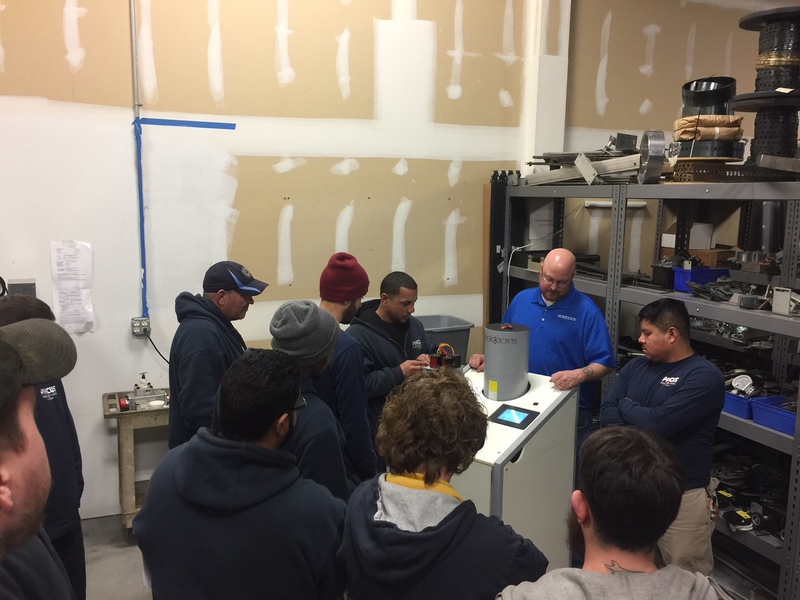 A good group of mechanics that will apply the training information daily,” said Landon Smallwood, Technical Support / Trainer.